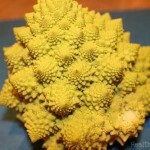 I found this interesting alien-esk vegetable at the farmers market on Sunday from Peninsula Fresh Organics. 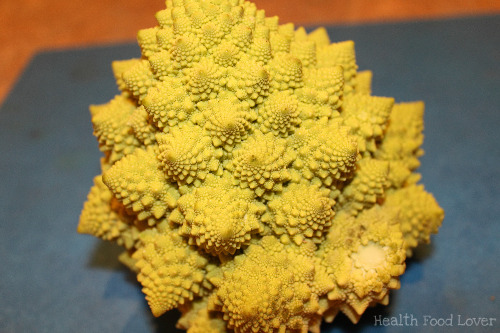 This amazing green vegetable is actually called Romanesco Broccoli (it’s botanical name is broccolo romanesco), it’s related to cauliflower and it was supposedly documented in Italy as far back as the 16th century. 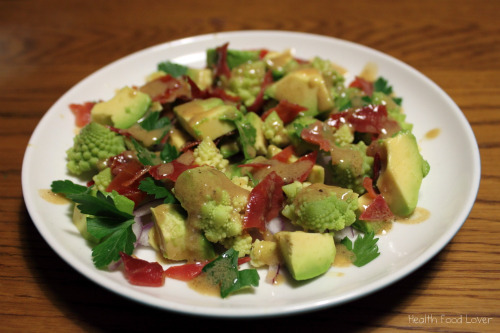 This salad turned out really well and was a great way to eat my first Romanesco! I also made sure each Romanesco floret kept its shape (by cutting near the ‘stem’ of the Romanesco too), It’s too beautiful to not I say. To make the vinaigrette: dissolve the salt in the vinegar by whisking with a fork or whisk. Beat in the oil, mustard and pepper till it becomes emulsified. 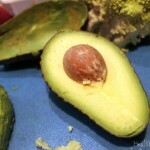 Prepare the avocado, parlsey and onion (as above) and put them in a bowl. 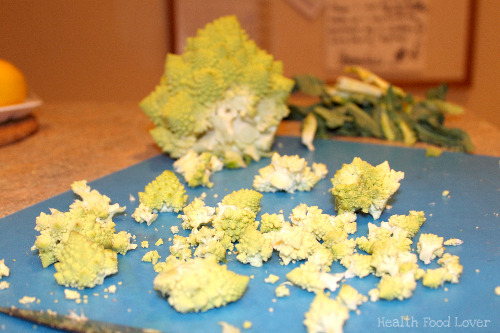 Cut pieces off the romanesco (around a third of the romanesco) and then lightly steam them till soft. 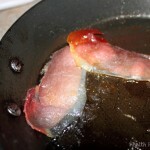 While they are steaming, cook the proscuitto with the olive oil in a pan till crispy. 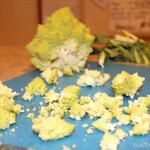 Add the romanesco and proscuitto to the bowl then toss the salad. 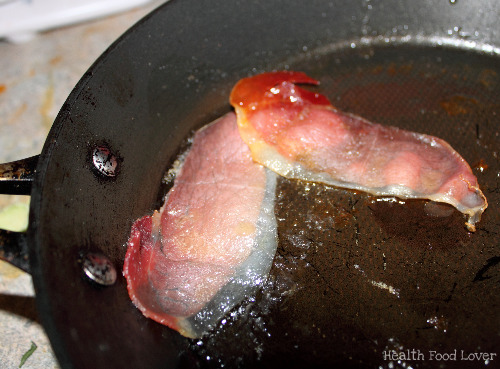 Add the dressing to taste. Print, Email to a Friend or Save as a Pdf.